Microsoft once again had a major presence at the Digital Factory Hall at Hannover Messe 2018, the world’s largest annual manufacturing exhibition in Hannover, Germany. Their booth was filled with examples of the great work their customers and partners are doing. Rockwell Automation continues to collaborate with Microsoft on information solutions that can help industrial companies predict performance, boost productivity and maximize asset availability. On the Microsoft booth, Rockwell demonstrated FactoryTalk and showcased Bradman Lake's IMSL (Intelligent Motion Side Load Cartoning machine) incorporating the very latest integrated connectivity Industry 4.0 technology. Visitors were able to see in operation the compact-footprint IMSL side load cartoner, fitted with a Rockwell Automation iTRAK unit to create a fully integrated product infeed system which uses minimal product transfers. To further enhance the IMSL footprint the products were side loaded into the cartons via a Linear Motion Loader. Established in 1948, the Bradman Lake Group Ltd is a leader in integrated packaging technology. 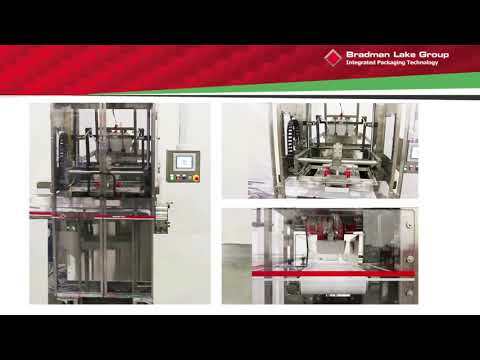 From distribution and feeding systems, flow wrapping, cartoning, loading and closing to case packing, shrink wrapping and roll wrapping, Bradman Lake’s solution based approach is gained from thousands of installations around the world. Bradman Lake is located in the UK and USA with regional offices in Russia and India, and is a wholly owned subsidiary of the multi-disciplined UK engineering group, Langley Holdings plc.